Marcia Wood Gallery is housed in a 75-year-old historic building in the downtown area of Castleberry Hill. Founded in Atlanta in 1987, the gallery represents emerging, mid-career and established artists who are making notable contributions to the field of contemporary art. 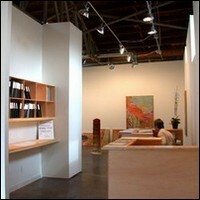 The gallery presents a diverse program of media including video, installation, digital media, sculpture and photography.